Fitch Ratings has affirmed Ceylon Dollar Bond Fund’s International Fund Credit Quality Rating at ‘B+f’ and Fund Market Risk Sensitivity Rating at ‘S5’. The fund is managed by Ceylon Asset Management (CAM). The affirmation of the ‘B+f’ International Fund Credit Quality Rating is driven by the weighted-average rating factor (WARF), the fund’s rating distribution and its investment guidelines. The fund has a limited investment space, as it only invests in US dollar bonds issued by the government of Sri Lanka (B+/Stable), licensed banks in Sri Lanka and Sri Lankan corporates that are rated by an international rating agency. This restricts potential investments to 15 listed issuances totalling around USD10bn as well as Sri Lanka Development Bonds (SLDBs) of around USD4bn. SLDBs are unlisted, unrated US dollar bonds issued by the government domestically. The affirmation of the Fund Market Risk Sensitivity Rating is driven by the market risk factor as well as Fitch’s consideration of qualitative factors, such as the fund manager’s ability to extend duration above current levels if it sees fit. The rating also reflects Fitch’s conservative assumptions about potential volatility in emerging market debt. The fund’s portfolio comprises of four bonds – all rated ‘B+’ – that have been issued by the entities detailed above and is mainly exposed directly to government and to government-guaranteed debt. The fund currently has a large cash balance (19% of portfolio), which the manager expects to invest in the near-term and maintain around 5%-6% of the portfolio in short term US-dollar fixed deposits in a licensed commercial bank in Sri Lanka. The portfolio is concentrated and has a large exposure to Sri Lankan sovereign risk. The concentration risk is a structural feature given the limited opportunities in the fund’s investment universe. Fitch has conducted stress tests on the target portfolio. Based on its analysis, Fitch believes the fund has considerable capacity to withstand negative rating migration in its investments before it would be downgraded to the ‘CCC’ category. The Fund Market Risk Sensitivity Rating is based on an analysis of the fund portfolio’s interest-rate and spread duration. Based on the fund’s market risk factor alone, it could achieve a ‘S4’ Fund Market Risk Sensitivity Rating. 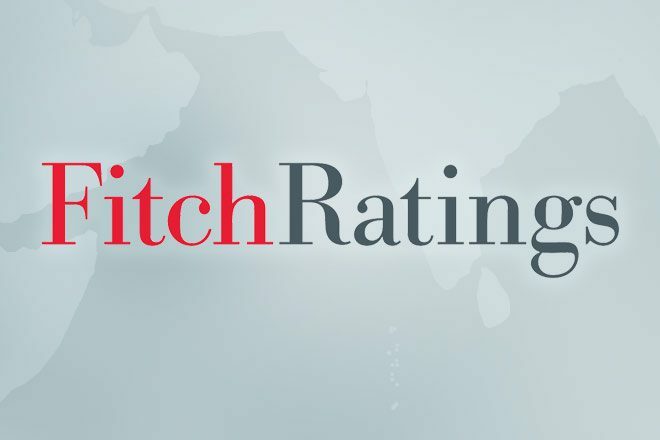 However, in affirming the rating at ‘S5’, Fitch has also taken into consideration wider market conditions – such as potential volatility in emerging market debt – in its rating decision as well as recognising that the fund manager does have discretion to extend duration above current levels if it sees fit. According to Fitch’s criteria, funds rated ‘S5′ are considered to have high sensitivity to market risk. On a relative basis, total returns or changes in net asset value are expected to experience extreme variability across a range of market scenarios due to substantial exposure to interest-rate, credit spread and other risk factors. The fund currently has a weighted-average life of 1.3 years due to the large cash balance it maintains in short-term deposits. The fund will rely on secondary market liquidity to meet large redemption requests. However, it has access to an overdraft facility of up to 10% of assets under management and requires 14 days’ notice on redemptions above 3% of the fund. On the asset side, it holds only a limited proportion of outstanding debt issues, all of which are listed on the Singapore Exchange. The fund is regulated by the Securities and Exchange Commission of Sri Lanka under the Unit Trust Code, 2011. Deutsche Bank Sri Lanka, a branch of Deutsche Bank AG (A-/RWN/F1), is the trustee. Fitch considers CAM suitably qualified, competent and capable of managing the fund. The investment committee has relevant experience and the company has sufficient sources of information on which to base its decision-making process. Fitch considers the systems supporting the fund’s investment activities to be satisfactory. CAM is 21%-owned by Sri Lanka Insurance Corporation Limited (SLIC, B+/Stable), 69% by Ceylon Capital Trust (Pvt) Ltd and 10% by Commercial Credit and Finance PLC (CCF). Fitch believes CAM has shareholder support, but a key challenge will be demonstrating sustained growth in assets under management. The Ceylon Dollar Bond Fund is a key component of its growth strategy. CAM has been managing funds since 1999. The current management team has been in place since 2005 and SLIC and CCF invested in the business in 2010 and 2013, respectively. The ratings may be sensitive to changes in the fund’s credit quality or market risk profile. The International Fund Credit Quality Rating may be downgraded if Fitch downgrades the rating of the Sri Lankan sovereign or the ratings of the banks in which the fund has invested assets, especially the banks whose issues are not government guaranteed. An upgrade of the assets in the fund’s portfolio could lead to an upgrade of the fund. Changes in exchange-control regulations that could increase the fund’s transfer and convertibility risks or a weakening in the liquidity inherent in the fund or changes to liquidity provisions – such as the manager’s ability to borrow against the fund’s net assets or its ability to delay redemptions – would be viewed as negative. To maintain the bond fund ratings, CAM will provide Fitch with portfolio information, including details of the portfolio’s holdings and credit quality. Fitch closely monitors the credit composition of the portfolio, the credit counterparties used by the manager and the overall market risk profile of the investments.